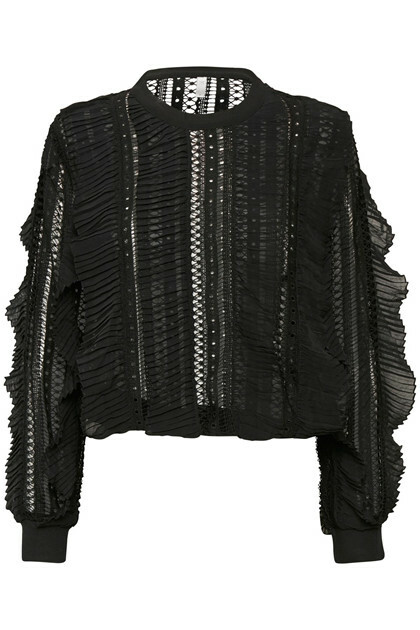 This blouse from CULTURE is a must-have for all the ruffles lovers. 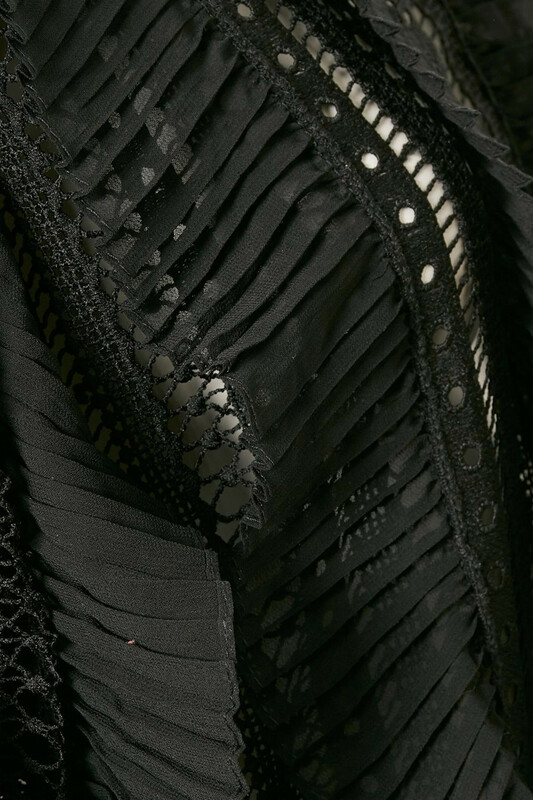 It has a lot of fine details in the front and sleeve ruffles, which are also combined with lace. The blouse has a round neckline and the back is only lace. 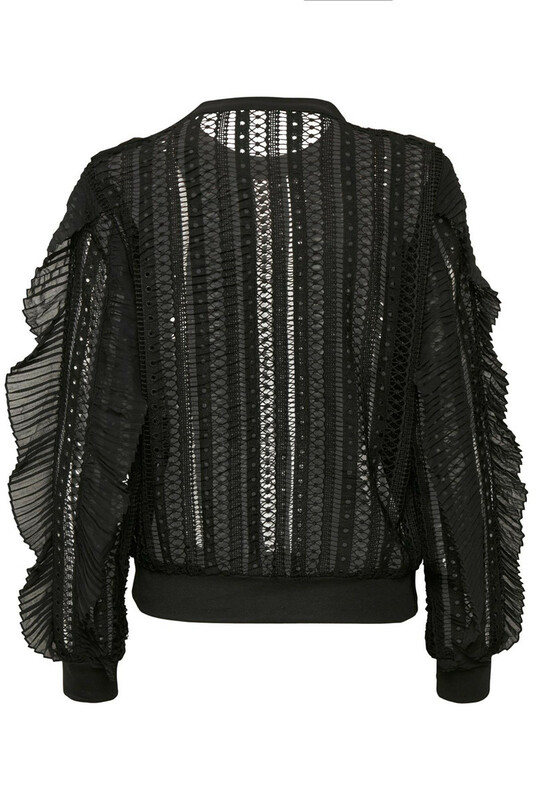 The beautiful lace-back gives the blouse an elegant and attractive look.